Lina Mthombeni has always dreamed of being a teacher. But when she matriculated in 2015, she was devastated not to get a university pass. She didn’t have money for college either, and took a gap year. 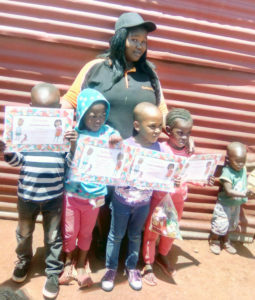 But in October 2016, Lina received a call that would change her life: Cotlands had accepted her application to facilitate early learning playgroups in Draaikraal, in Mpumalanga. Thanks to all our donors for helping Lina and other ELFs live their dreams.